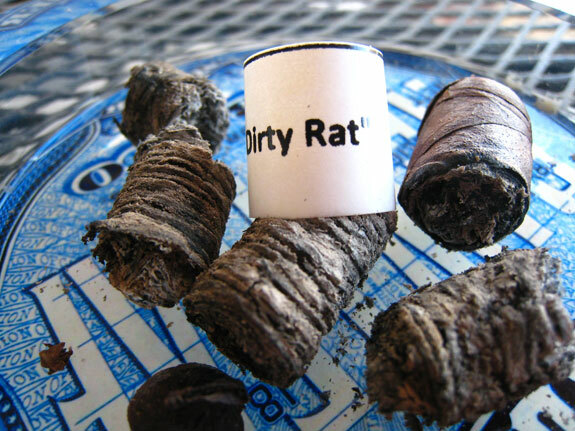 Right on target this week I am excited to bring you a review of Drew Estate’s Dirt Rat aka “Rata Sucia”. Steve Saka at Drew Estate was kind enough to have a few of these sent my way, and I couldn’t be more thankful. Again, I am a Liga Privada fanboy so just knowing that there was a vitola out there that I haven’t had the chance to smoke was eating me up from the inside. This is going to be more of a “first look” type deal rather than an actual review. 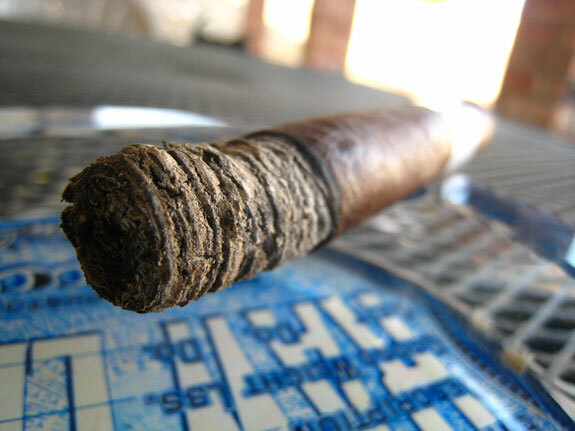 I won’t go in as detailed as I usually do since this cigar is still in pre-production, and there is a real good chance it may never even make it to mass market. This will be more of just a collaboration of what you MAY expect if these little guys do happen to hit the streets. The decision to release the LP No. 9 was something I was “forced” into… When it was originally blended we had very little leaf on hand to make it, but it didn’t matter as it was a cigar we were just crafting for me to smoke and we had plenty of leaf to make me a couple of thousand of special cigars. Because it was so good, there was a lot of internal pressure from our sales guys to make it for retail sale, which I caved to with the caveat that we could only open 20 or so accounts and that we would have to slowly grow the brand, basically ten stores at time while we bought and fermented the needed leaf to make more as I was unwilling to let the consistency or quality slip in anyway. Liga Privada was and remains very personal to me. So as we have increased our leaf stock, we have slowly increased our account base on the brand… to date we have grown the account base to some 200 or so stores. We are still limited by the very specific and tip-top quality leaf needed, but each year we buy more, which allows us to ferment and age more, and in turn make more cigars. Same is true of T52, except we intended from nearly day one to add the blend/brand to the sales portfolio. I loved how he states that the “Liga Privada was and remains very personal to me”. I feel the exact same to the few that I have lingering in my humidor alone. 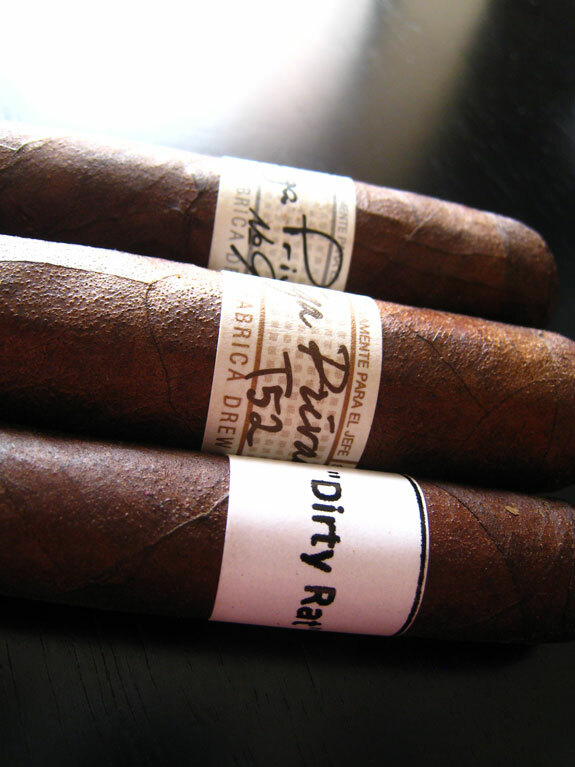 That being said, the biggest difference between the Dirty Rat and the rest of the Liga Privada line is the mass amounts of 7 different types of tobacco used to create a single Dirty Rat. Keeping that in mind you can see right away the hesitation on mass producing the Dirty Rat (costly, time consuming, labor consuming). 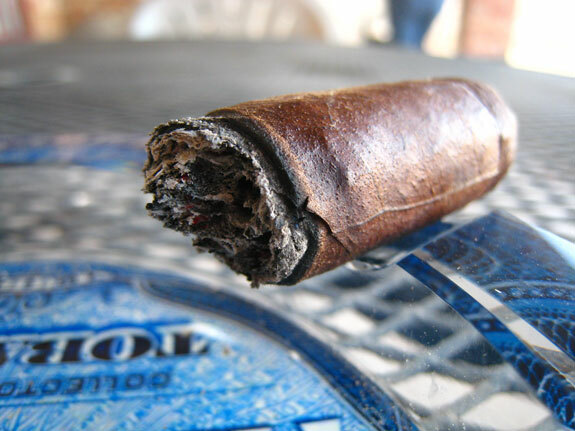 Prelight: The Dirty Rat shares a similar extremely dark, oily, toothy wrapper as the No. 9. The wrapper is extremely thick and firm to the touch with slight veins, and excellent construction. The Dirty Rat has a distinct “rat tail” resting on top of its rounded triple capped head. The Dirty Rat is pretty firm to the touch, and give a great bounce back once it is squeezed. The wrapper itself smells strongly of cedar and tobacco with underlying chocolate and a hint of spice. 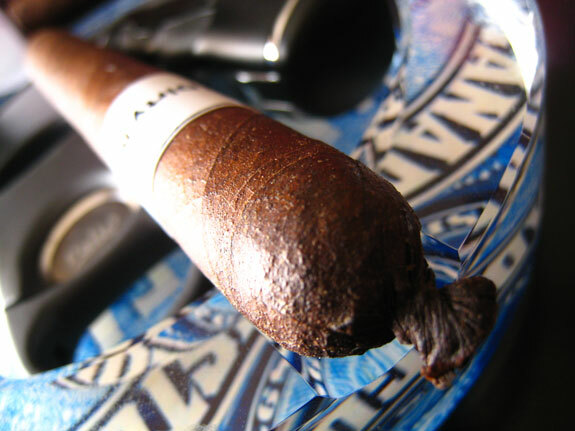 The foot of the cigar resembles with similar, more pronounced aromas. I didn’t pluck the tail off this guy as I would kill myself if I ruined it. Instead I went with my trusty double bladed palio which took to the Rat very nicely. The cold draw produced subtle flavors of cedar and spice. First Smoke: The Dirty Rat lit up instantly under my tri-flame butane torch. At first, I was a bit bummed out as my first few puffs seemed a bit plugged. But after about the fourth hit I was thrown into the pepper front that the Liga Privada cigars throw at you. Just as soon as the pepper came it started to dissipate, leaving a very strong, sweet cedar taste up front with hints of spice and tobacco. The draw on the Dirty Rat was effortless, and massive. The smoke smelled of straight burning cedar. The Liga Privada has always produced great smelling smoke. The stationary smoke from the rat was immense, and just doesn’t quit. I don’t mind this at all as I was smoking alone, but I would be weary of it if smoking in a group. The burnline was razor sharp, and dead even leaving behind a medium grey ash that was a bit looser than I was used to from a liga privada. I got about an inch and a half through before the ash gave way. Halfway There: At this point the Dirty Rat has smoothed out a bit and the pepper is completely gone. Cedar and tobacco are main stage, but a really smooth, sweet almost floral/tea type flavor has been thrown into the mix. I don’t want to scare you off by saying it was somewhat floral, but that’s the best way to describe it. Not overpowering at all, and very subtle. Along with a flavor change up came my first hints of nicotine. For such a small cigar the Dirty Rat definitely packs a punch. The burnline has widened just slightly, but is still burning dead even. Finish: One big difference I was able to notice was that the Dirty Rat didn’t finish as smooth as the other Liga Privadas. 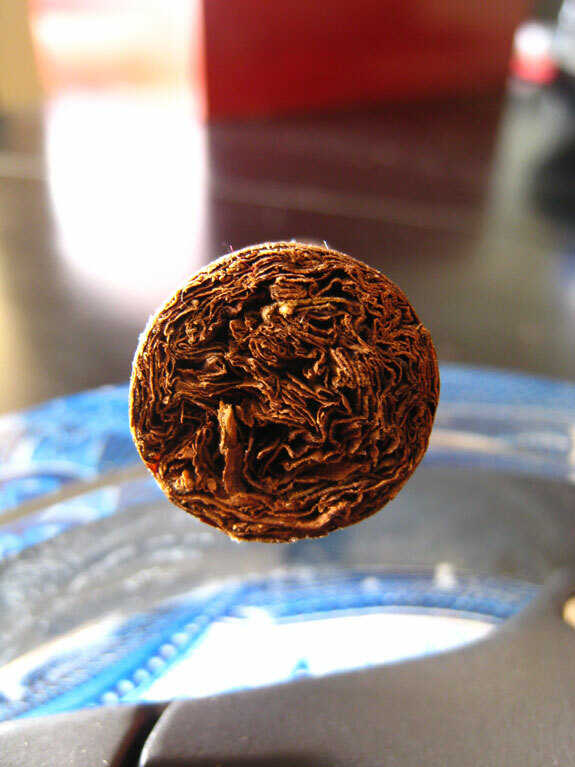 I think some of it had to do with the fact that I was hitting it a bit harder than needed for the size, and some of it had to do with how hot the tobacco actually burned. The Dirty Rat seemed to burn a lot hotter than I am used to. The pepper made it’s triumphant return towards the last inch or so of the cigar, and the cedar and floral flavor dampened. The burn was absolutely perfect all the way though, as well as the ash. The nicotine is definitely present. Don’t be fooled by this little guys small stature, this is a very strong cigar. Overview: Quite honestly, this is one hell of a cigar. Corona of choice? Better believe it! I’m not quite sure what the price tag would be on this stick but I would imagine it to be at least $10, and I would pay it in a heartbeat. I smoked through every single one of these bad boys that Drew Estate sent over and it just left me craving for more. Hopefully this is something that eventually does hit the market as I don’t know how much longer I will be able to hold out, not to mention I think it would be an incredible addition to Drew Estate’s profile, and the cigar community as a whole. God I’d kill to try that. It looks spectacular. Great review. Thanks Agent 86, believe me, if I had more on hand I would love to share. This is a remarkable cigar and I really do hope that every does in fact get a chance to have a few. Thanks Sir Thomas (i think? ), you’re in for quite a treat! Dammit man, I gotta get my hands on some Ligas. You’ll get your hands on some soon Jared! I’m sure of it! 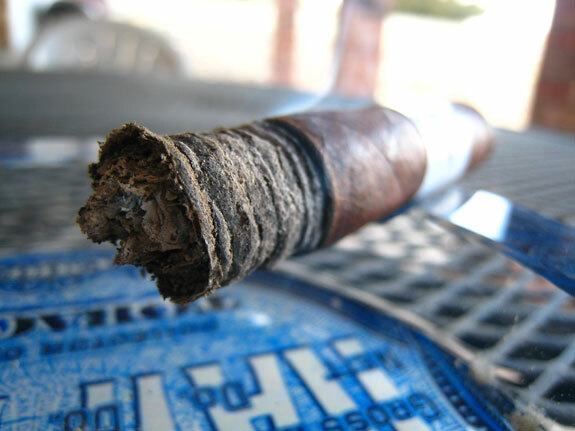 I was given a Dirty Rat by chance and I have to say, it is currently the best cigar I’ve smoked! At this time, the Liga Privada No. 9 is at the top of my list and the Dirty Rat is my favorite of the line. I sure hope this one gets released!!! I agree Tony, its a hell of a cigar. I am torn between that and the No.9 Robusto, but choose the no. 9 simple beause the Rat isn’t available on store shelves. Needless to say I have my fingers crossed. I would agree Tony, No. 9 Robusto gets top billing as a cigar I can get my hands on regularly. Even the Flying Pig isn’t quite as good as the Robusto IMO. Great review Tony! I look forward to trying that cigar at some time. I hope you get a chance man, it’s worth it. Cheers! Good job buddy, those look awesome. Hopefully it becomes a normal release so every can try one of these! great review Tony! I’m with the masses and am trying to find some. Daniel, Thanks bro! I really hope they do in fact hit the market. I think a lot of people would buy into them. It just comes down to how much resources DE is able to commit to the manufacturing of this product. Mr. Reeve, I hope you do get to try a few. They are worth it, and I’m sure you’ll love em! I can’t wait until they are available to the public. the T-52 is one of my go to smokes right now. Try tobacco Road Adam, they have a great selection, great prices, and an endless supply of diet coke. I’m a huge Drew Estate fan, but with the economy and finances, I just received my first Liga Privada 9 cigars – 1 natural and 1 maduro (still resting in my humidor). So now I need to add the T52’s AND the Dirty Rat to my wish list! Had a friend give me a couple from his box purchased at a local B&M Drew Estates event. Wow! This is a fantastic cigar. Love the review. Couldn’t agree more. But I’m dying here. Where can I get some more. Seems the promised September 2010 didn’t bring a whole bunch to the market. Any leads? Lucky7 – I picked up a box from Bonita Smoke shop a while back. (www.bonitasmokeshop.com). Check them out to see if they have any in stock, those people are amazing and will get you taken care of. 100% in agreement! I was lucky enough to get one at my local cigar shop that received 1 box. I am quite angry I bought only 1 because like you said…. it makes you want more….IT DID! This was a great Full-bodied smoke. I am glad I smoked it alone because I wouldn’t have wanted people to look at my Happy face. As you said A gread tasting Full-bodied powerhouse!